A Fire’s Place is stocked with many affordable fireplace & stove accessories. Stop by our inviting showroom and speak with our qualified experts who can help you find the perfect fireplace accessories. In order to keep your fireplace looking brand new and working like the day you got it, you’ll want to invest in some quality fireplace accessories. Even just one fire can create messy soot and ash, so having a set of handy fireplace tools always present besides the fire is absolutely necessary. We carry a vast selection of products to help you extend the usefulness of your heating appliance and make sure you’re prepared in any situation. From roasting forks to hearth rugs to ash vacs, A Fire’s Place carries every accessory you could ever need. How Do I Tell Which Fireplace Accessories I Need? The fireplace accessories that you will need for your home may depend on the type of environment you wish to create. If you have small children, you will want to use a fireplace screen or install fireplace glass doors to keep the little ones away from sparks and the heat of the flames of a wood burning fireplace. A fireplace screen also works well to decorate the space and shield a fireplace when not in use. Fireplace screens come in many different designs and sizes to match any space. The screen can be made of metal to obstruct the view or take on a glass or sheer appearance to protect the area around the fire, but still allow for the movement and bright flames of the fire to be seen. Other options for keeping your hearth organized include a log rack to stack cut logs before they go into the fire or an andiron to keep your logs in place while they are crackling in the fire. There are low-cost fireplace accessories for every purpose including accessories available purely for decoration. Just make sure that whatever you choose, it comes in a fireproof design. It is critical that each accessory has been tested and safety rated! 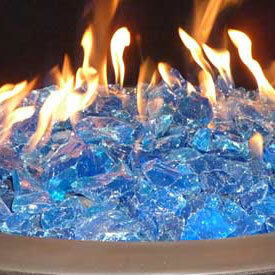 Long lasting and very durable, fireglass adds a modern touch to your fire. We offer a variety of colors and sizes to match your style. Fire sets typically consist of a shovel, brush, scoop, poker & stand. 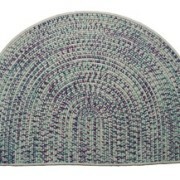 They come in a variety of sizes and styles to fit any decor or budget. 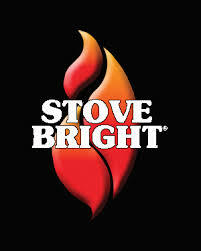 Check out our inventory at our A Fire’s Place showroom today! Wood grates, offered in many sizes, shapes and styles to suit your taste. Check out our showroom for more. Hearth rugs add style and charm to your living space, but most importantly, they protect the carpet immediately in front of your fireplace from sparks, ash and dirt. Tile insert bases protect and beautify the area around your wood or gas stove. 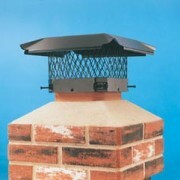 Chimney caps are designed to fasten directly to your flue tile liner at the top or your chimney. 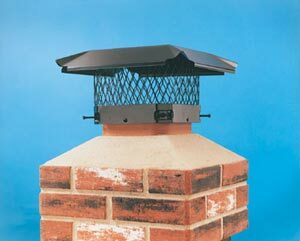 The chimney cap sits on top of your flue tile, and the base is fastened with pressure screws to the clay flue tile. Gas fire ring burners and kits are ideal for any DIY master. 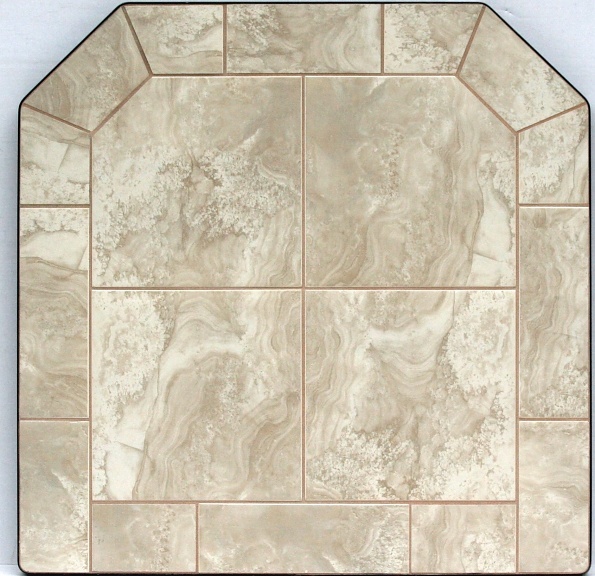 Available in many sizes and shapes, visit our showroom to learn more. 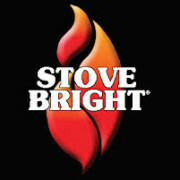 Stove Bright® high temperature coatings have been developed to provide the highest quality coating for use in applications that require heat resistance up to 1200°F. We offer a full line of paint and cleaners. Fireplace Glass Doors: If you have children or pets near the open fire, you may want to consider installing glass doors on your wood burning fireplace. This will help keep the fire and sparks contained and your children and pets safe and sound. Glass doors come in many different styles and sizes and while they are safe, they can also be very good looking as well. Browse the selection of safe, affordable, beautiful glass doors. Fireplace Screens: Fireplace screens not only create a fashionable finish to the look of an open fireplace, but they also serve a functional purpose as well. Fireplace screens as designed to catch the sparks that leave the fireplace box and prevent them from landing within the house or close to unsuspecting people or pets. Keep your home fashionable and safe with the fireplace screen of your choice. Fireplace Grates: Fireplace grates bare the load when a fire is being burned. Designed to withstand the harsh conditions of living at the heart of the fire during each burn, fireplace grates are highly durable and designed to last for years and years. Firewood Racks and Firewood Carriers: Those of us who enjoy the thrills of a wood burning fire, also know that it takes many trips outside to the woodpile to keep the flames dancing all winter long. To cut down on the time spent venturing out into the cold, load a firewood rack and use a firewood carrier to transport the wood from the outdoors. Streamlining the fueling process leaves more time to enjoy the dancing flames of the fire. Fireplace Tool Set: This is the one basic necessity that every fireplace owner needs to have. 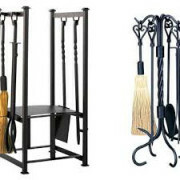 Fireplace tool sets keep everything you need to clean and maintain your fireplace in one place. Fireplace tool sets can be as basic or robust as you choose and come in many different shades of metal and a style for every décor. 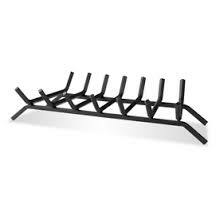 Fireplace Cleaning Accessories: Once the fire burns out and the coals become cold, the inevitable cleaning must begin. But fireplace cleaning doesn’t have to be difficult and dirty! Just stock up on hearth gloves, an ash holder, and ash vacuum, and fireplace spray cleaners and cleaning becomes a breeze. 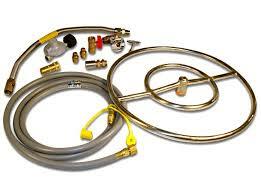 Fireplace Blowers: Extend the usefulness of your fireplace by installing a fireplace blower. These fireplace heaters send heat out into the room and also increase the efficiency of the fire by up to 500%. 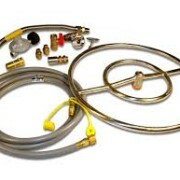 Fireplace blowers come in many different sizes to fit with your fireplace size and room size. Maximize the heating benefits of your fireplace. 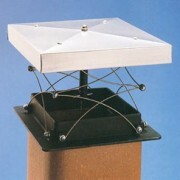 Fireplace Starters: Fireplace starting kits take all the frustration out of starting a fire. No more failed attempts or small dim fires, start your fire with a fireplace starter kit and you will have a raging fire in no time! Fire Glass: Fire Glass is a tempered glass that makes a great addition to any gas fireplace. Watch the flames flicker and dance as the glass retains heat and refracts the light, creating an artistic show for you to experience. Fire glass burns smoke and soot free so you can enjoy the show without extensive clean up afterwards. Fireplace Accents: There is an endless selection of accent accessories that you can add to your hearth to pull the look together. Browse decorative umbrella stands, figurines, and wood pails to find the perfect finishing touch. Fireplace Hearth Rugs: Make the hard cool surface of your fireplace hearth more appealing with the addition of a hearthrug. 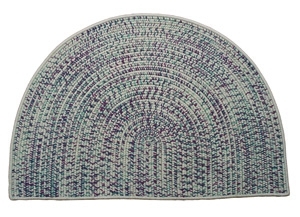 These rugs have an extremely high melting point to keep them safe even in close proximity to the fire. Mantel: No fireplace is complete without decorations on the mantel. Choose from manufactured or custom built fireplace mantels in any shape and size. And once you select your mantel, don’t forget to decorate the new surface to complete the look! Ethanol & Gel Fireplace: A fireplace doesn’t have to be contained in a traditional fireplace, in fact, a fireplace doesn’t even have to follow any of those traditional rules. Ethanol and gel fireplaces are designed to burn anywhere, without needing a chimney or other venting and without a gas hook up or electrical outlet on hand. Learn more about these burning these modern fires. 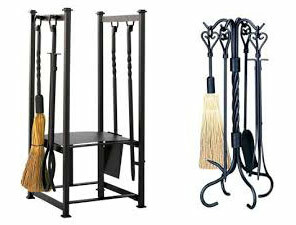 Fireplace accessories are part of the fun of owning a fireplace. By visiting a fully stocked, privately-owned hearth store, you can personally view and choose from a large selection of affordable hearth accessories. Big box stores & online hearth shops won’t be able to offer you the expertise that comes from years of dedicated industry experience. From cleaning tools, to decorative screens, to functional décor, join in on the fun of accessorizing. There’s an accessory for everyone!